Last weekend my baby sister turned 26. I made her this cake from my Martha Stewart Baking Handbook. Click here for the recipe. Even thoguh I think I baked this a few minutes too long, I really liked the taste of this cake - I think it might become my go-to yellow cake recipe. 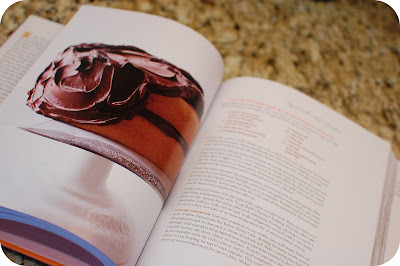 The book suggested Dark Chocolate frosting. Click here for the recipe. The frosting was good, but next time I think I'll try a regular chocolate frosting - this was was just a little too rich tasting for me. 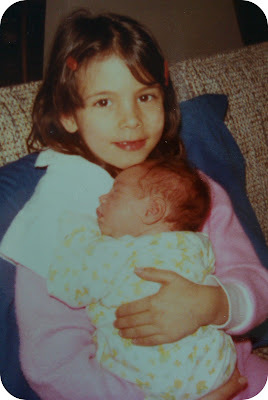 Here I am holding my sister when she was 2 weeks old - I turned 7 three weeks later. She was like my real-life little baby doll! The old pic is adorable. I have never made a cake from scratch. Is it really a lot better? I looks great and has made me think about going to pantry for a snack. 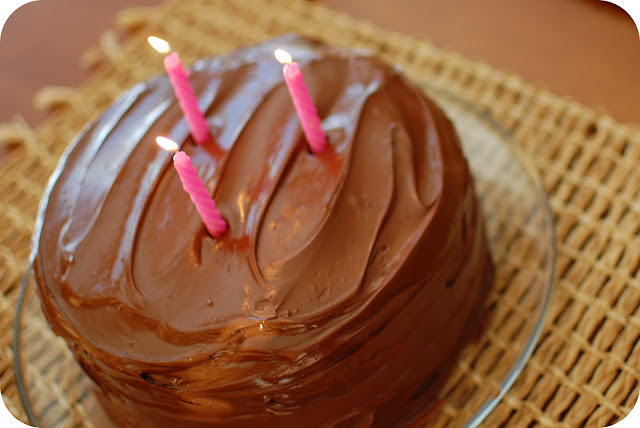 Traci - I think you should try making a cake from scratch - it's really not hard! 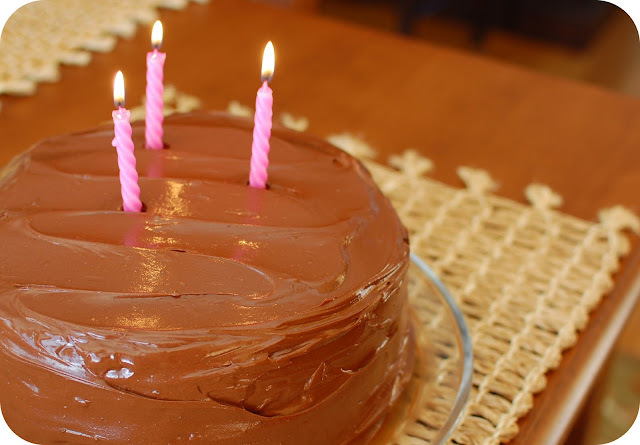 Especially a basic cake recipe like this one. And then you could blog about it! Ahhhh, what a cute photo! Is it you and you sister when you were little? Who's who? The cake looks so GOOD. Very nice shots too. Aww, what a cute post! That pictures showing up everywhere! Thanks for the delicious cake beege! Nurit - Thanks so much for stopping by my blog! 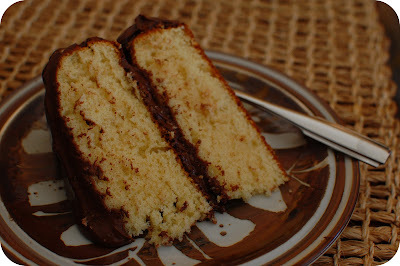 I really enjoy your blog and have been learning a lot from your posts on food photography. Yes - that is an old picture of me holding my sister when she was 2 weeks old. I turned 7 three weeks later. Looks delicious. Was it moist? 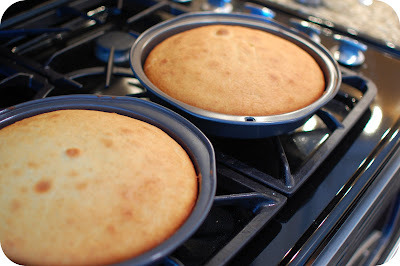 A lot of times I find that these recipes for butter (or yellow) cakes are not as moist as I like them to be. I hate a dry cake!! What's your opinion?